Tour of midcentury home provides glimpse of Frank Lloyd Wright at the peak of his powers. Even before I knew what midcentury meant, I loved it. I remember the sleek, russet wood stereo cabinet my parents had; the record they played endlessly, “The Lion Sleeps Tonight,” was the soundtrack of my childhood. When they hosted pinochle parties, the long, low-slung, one-armed sofa easily sat five adults. Those same decorating references guided me when I set out to furnish my first apartment. I combed flea markets, buying boomerang end tables and a Mad Men-worthy chaise lounge. All these years later, midcentury architecture and décor, with its associations to a simpler time, remain perennially appealing to me—to lots of us, judging from the many retailers who will happily sell us an Eames chair at astronomical prices. Living in Phoenix, I am regularly delighted by the preserved modernist architecture from last century as I drive around the city: the funky rock façade of Chase Bank at 44th Street and Camelback Road; sleek Hanny’s, the downtown department store-turned-hipster bar and restaurant; Cosanti, the womb-like studio of Paolo Soleri Cosanti in Paradise Valley; Scottsdale’s internationally-known Taliesin West, Frank Lloyd Wright’s winter residence. 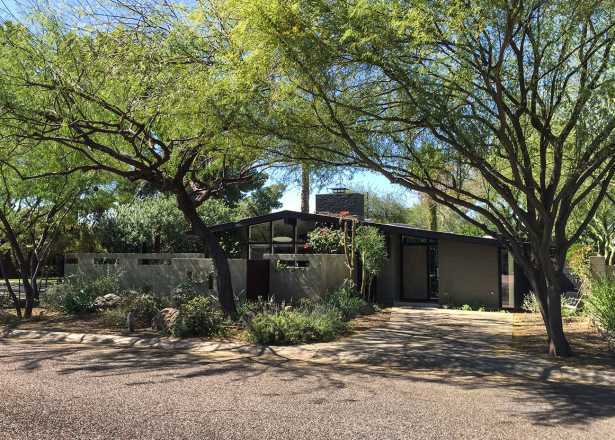 Wright’s innovation spawned other celebrated architects who worked against our Sonoran desert backdrop: Al Beadle, Will Bruder, Bennie Gonzales and Ralph Haver. 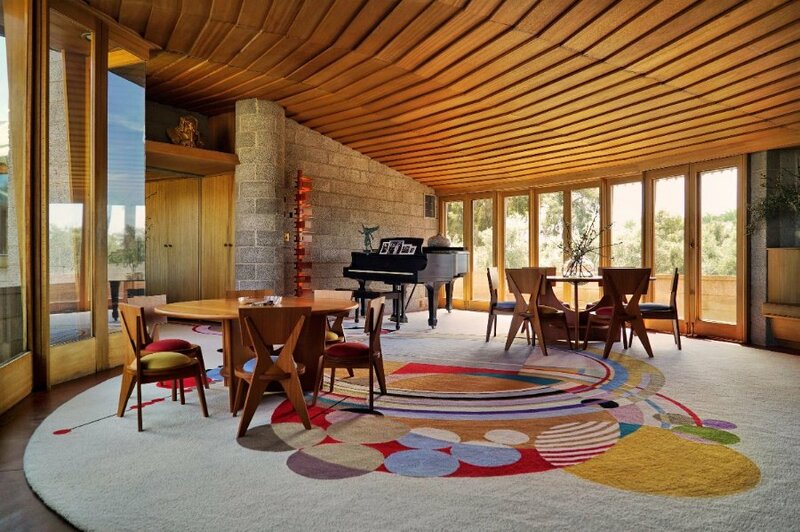 I’ve met people—regular people, not millionaires—who call a midcentury masterpiece home. So there was a certain pleasurable frisson when I saw in my Facebook feed that a midcentury architectural gem, The David and Gladys Wright House, had newly opened to the public. The tours are free but require a reservation; I booked one immediately. To say I was gobsmacked by what I experienced is an understatement. Completed in 1952, when Wright was at the pinnacle of his professional powers, he designed and built the Wright House for his son David and David’s wife, Gladys. 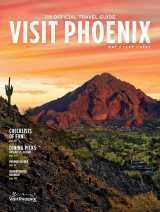 The residence is situated on what was originally a 10-acre citrus grove with commanding views of Camelback Mountain. Its radical design references the Guggenheim; it’s the only freestanding spiral ever designed. The structure was heralded in national media in the 1950s as the purest and greatest expression of the architect. But were it not for the passion, persistence and vision of one man, this astonishing residence—Wright’s last great residential achievement—would have fallen victim to the bulldozer. Zach Rawling is the president of the David and Gladys Wright Foundation, which saved the Arcadia home from being razed just a few years ago. Turns out Rawling, like me, can trace his connection to midcentury architecture back to his childhood. Rawling grew up at 36th Street and Camelback Road. As a grade-schooler, he rode his bike along the canal in a loop that featured the Wright house on one end and the Arizona Biltmore on the other, documenting the buildings with his camera. He and his mother, a teacher, spent summers touring Wright buildings, along with those of other notable architects. He studied architecture in college. Rawling was living and working in Las Vegas when he learned the Wright House was threatened. He immediately called his mom and booked a flight to Phoenix. That stroll galvanized him into action. He and his mother purchased and restored the home, making it accessible for future families. The home is of global significance and has already attracted scholars and photographers from six continents. “We want to welcome the world to this house, to share it as a celebration of the history of Phoenix,” Rawling says. For more information and directions, visit DavidWrightHouse.org. Note: Public tours will be indefinitely halted after May 7, 2016. Contact the Wright House for more information.